In honor of Women’s History Month this week’s posts will be a dedication to them…..
As WWII unfolded around the globe, women were also affected. Some found themselves pressed into jobs and duties they would never have previously considered. Hitler derided Americans as degenerate for putting the women to work, but nearly 350,000 American females alone served in uniform voluntarily. A transformation of half the population, never seen before, that began evolving in the early ‘40’s and continues today. For the WASPs, 1,830 female pilots volunteered for Avenger Field outside Sweetwater, Texas alone and it was the only co-ed air base in the U.S. These women would ferry aircraft coming off the assembly lines from the factories to the base. They acted as test pilots; assessing the performance of the planes. The WASPs were flight instructors and would shuttle officers around to the posts where they were needed. For artillery practice, they would tow the target. During their service, 38 of these brave women died. A wonderful story was given to me by my longtime friend, Carol Schlaepfer, about Pearl Brummett Judd, a WASP pilot she met in California. Pearl was a test pilot flying the Stearman, PT-17; North American AT-6; Vultee BT-13; Cessna UC-78 and AT-17. In an interview, she said, “The B-29 was a little touchy. 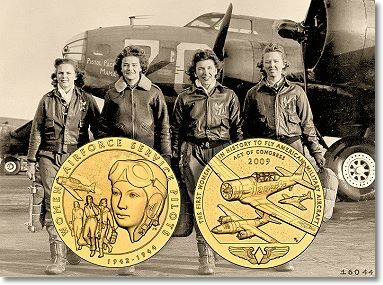 The engines caught on fire.” Pearl Judd and her fellow WASP sisters (or their survivors) finally received a Congressional Gold Medal for their services in March 2010. 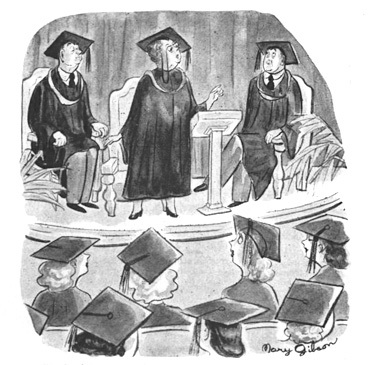 25,000 women in all applied for the WASPs; in Pearl’s class of 114 women, only 49 graduated. The symbol for the WASPS, shown below, uses the image of Pearl Judd. They did not receive veteran status until 1977 and did not have the right to have flag on the coffin until 2000. Ms. Judd was honored at the Eagles Foundation HERE! WACs, (Women’s Army Corps), the nurses were on active duty around the world. 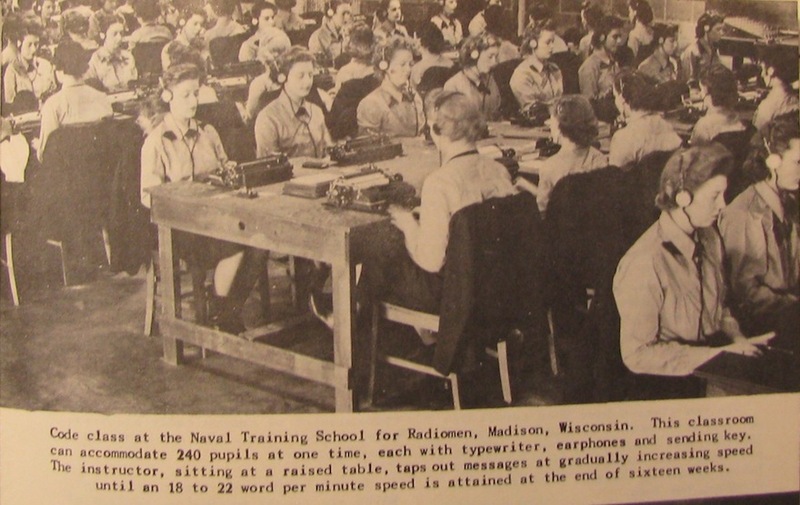 But, the WAVES (Women Accepted for Volunteer Emergency Service of the Navy); the SPARS (U.S. Coast Guard Women’s Reserve) and Women’s Marines were prohibited by law from serving outside the U. S. At Cherry Point Marine Air Station in North Carolina, 80% of the control tower operations were done by the female Marines. Nearly all the SPARS and WAVES officers were college graduates and worked in finance, chemical warfare or aerological engineering. Some were assigned to install radar on the warships. Yes, this is the chef from TV, Julia Child in WWII. The first WACS to arrive in the Pacific were sent to Australia, 2 ½ years after Pearl Harbor, in May 1944. In Port Moresby, New Guinea they served within barbed wire compounds (any dates with the men had be pre-approved) As the forces moved from island to island, the WACS followed after the area was secured from the enemy. Yet, despite these precautions, 68 service women were captured as POWs in the Philippines and 565 WACS in the Pacific Theater alone won combat decorations for bravery under fire and meritous service. Nurses were in Normandy on D-Day+4. In the Army Nurse Corps, 16 were killed as a result of enemy fire. A Red Cross woman was also killed during an attack on the 95th Evacuation Hospital. Also in the ETO, when their plane was forced to crash land behind enemy lines, Lt. Agnes Mangerich and 13 other nurses, male technicians and the pilot marched for 62 days before reaching safety. Women did more than join the military…..
Alice Newcomer graduated George Washington University in 1943 and immediately began working in the Lend-Lease Program. The 400-500 people employed there easily dealt with billions of dollars in war materiel, but when it came to how much should be shipped in civilian supplies, she said no one quite knew where to draw the line. 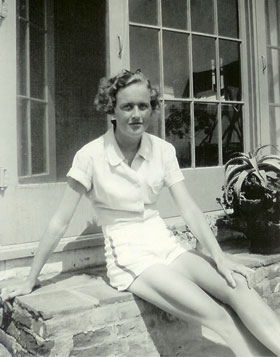 Hilda O’Brien, fresh out of Columbia Univ. Graduate School, started her career in the Justice Dept. 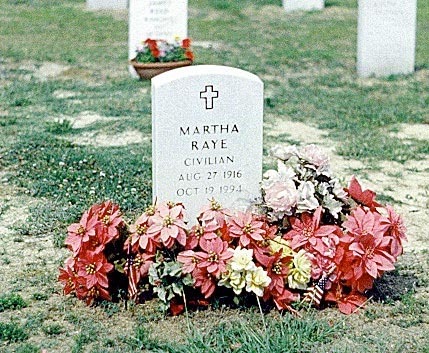 Kay Halle, a radio broadcaster, worked for the OSS in Morale Operations and became known as Mata Halle. (Many of these operations still remain secret.) 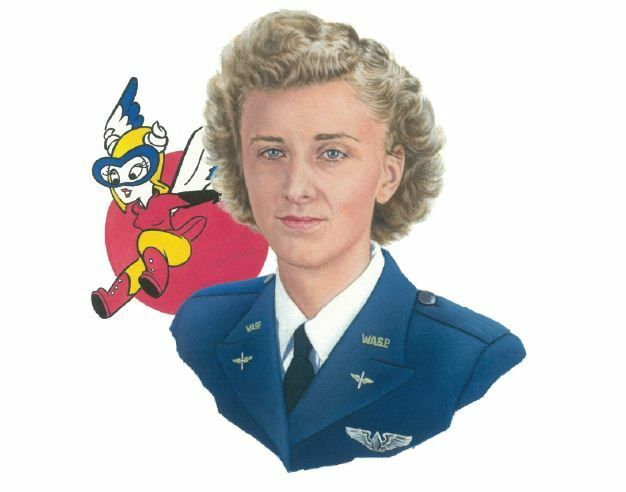 Sally Knox was an editor for what was a part of the Army Air Force. She was in Detroit and then Wright Field near Dayton, Ohio. (Which later became Patterson Air Force Base) She helped to prepare military publications. In Canada, besides having their own Canadian Women’s Army Corps, the women showed their national pride, not only by entering the masculine sphere of work to release the men to serve in the military, but by using their domestic talents in volunteer work. The War Services Fund was supported in this way. 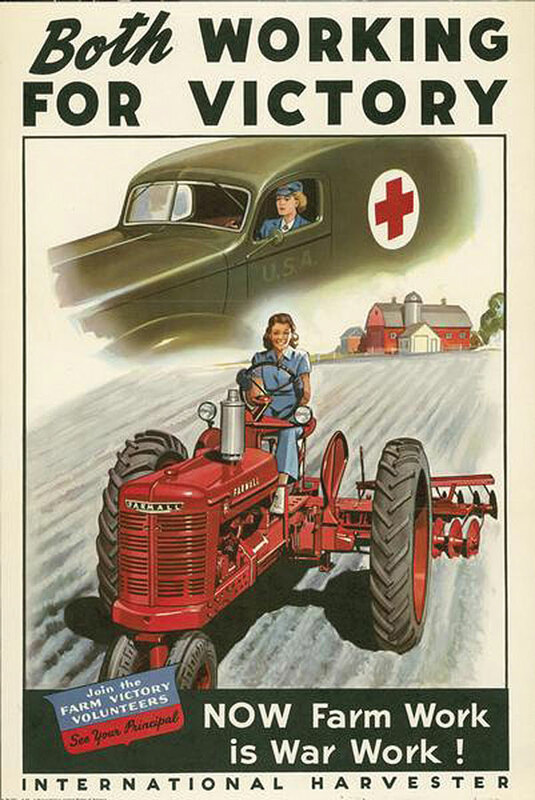 Their civic and community pride provided various forms of aid to the war effort. 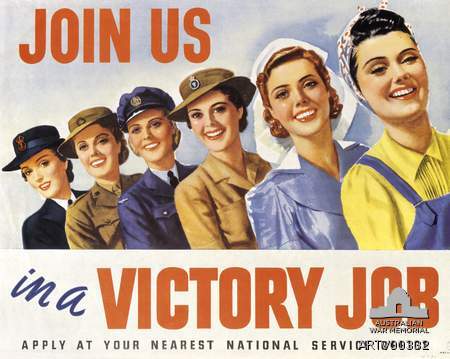 Australian women as early as 1939 were trained in jobs to free the men to enlist. The Women’s Emergency Signaling Corps were based in Sydney. The Woman’s Flying Club were not pilots, but trained to be mechanics and the Women’s Transport Corps passed rigorous driving tests for truck driving and ambulances. In Britain there was a definite industrial segregation of men and women in industry, but as the war continued to rage, the barriers lessened out of necessity. They began transporting coal on the inland waterways, joining the Fire Service and Auxiliary Police Corps. They began to be “drafted” into the Women’s Royal Naval Service (“WRENS”), Auxiliary Air Force and Air Transport. The women of Britain played a vital role in all phases of the war including the French underground, Special Operations and anti-aircraft units. Finland had the organization, Lotta Svard, where the women voluntarily took part in auxiliary work of the armed forces to help the men fighting on the front. At home, they were nurses and air raid signalers. The Lotta Svard was one of the largest voluntary groups of WWII; although they never fired guns which was a rule of their group. 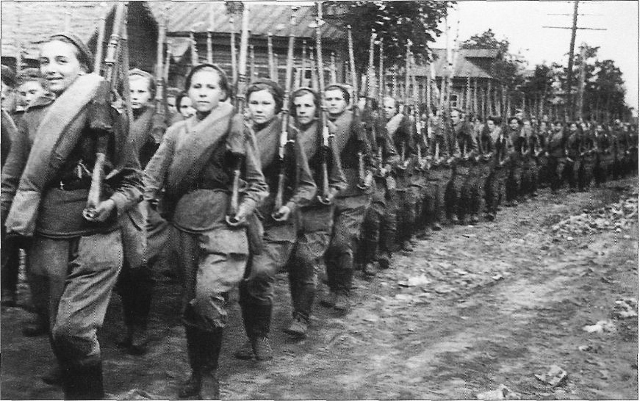 The Soviet Union utilized women pretty much from the start of the war and they were NOT auxiliary. Approximately 800,000 served in front line units. They were part of the antiaircraft units as well, firing the guns and acting as snipers. Klavdiya Kalugina was their youngest female sniper starting her military service at age 17. I apologize ahead of time for making this such a long post, but don’t you think they deserve it? 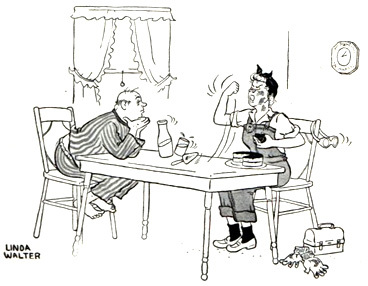 Posted on March 14, 2016, in Home Front, Uncategorized, WWII and tagged 1940's, family history, History, Military, Military History, Tributes, veterans, women's history, WW2, WWII. Bookmark the permalink. 133 Comments. It is not “advancement of medical care” to injure a satisfied human being , and to save them. A person with “sick” who can not survive even if they want to live, “medical” is to save them. I do not like nurses on the battlefield. Terrific post. It was interesting to read about women’s efforts around the world, not just in one country. Thanks for sharing this research with us. My pleasure. The women were the backbone of America and so many other countries – they deserve recognition!! Read the long post with great interest. Releasing the talent of women, it seems, has enabled many societies across the world, to leapfrog others who still haven’t. They are certainly not to be hidden and abused – They have as much to contribute as men. I know in your country they have learned this. Thank you for dropping in. Oh – life gets in the way, Linda. Not to bother yourself about it!! I appreciate you looking back and reading it! Tsk-tsk, Mrs P. And now March is over. But you prove how great women can be every day – right!?! Thank you very much for honoring the women as well!! We couldn’t have done it without them, Ian! !